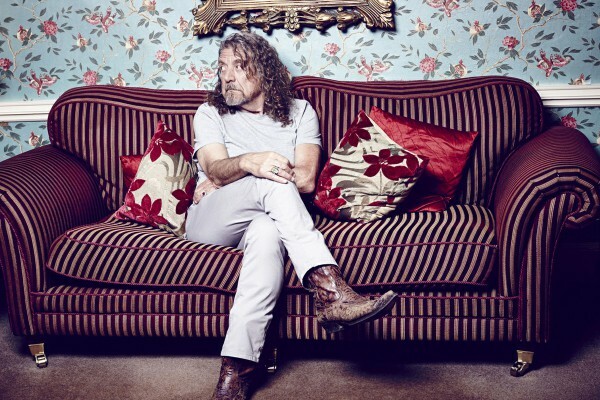 Robert Plant & The Sensational Space Shifters, St. Vincent, Basement Jaxx, Tom Odell, Jungle and many others are amongst the first Positivus Festival 2015 artist names. Baltic's biggest music event will be taking place from July 17th - 19th in Salacgrīva, for the ninth consecutive year. Never before has the first Positivus Festival artist line-up list been as elaborate as this year’s. It's safe to say that Robert Plant & The Sensational Space Shifters will be the most legendary festival performers. One of the greatest singers in the history of rock and roll is set to perform tracks from his magnificent and critically acclaimed album recorded with The Sensational Space Shifters, as well as some timeless Led Zeppelin classics. This year’s line-up will also feature several live-electronica bands - countless dance-floor anthem producers and two BRIT Award winners Basement Jaxx, Mercury Prize nominated modern soul debutants of 2014 Jungle, and the most ingenious contemporary alternative music diva and winner of 2015 Grammy award St.Vincent. Tirelessly crazy parties will be thrown by the energetic indie pop artists Fenech-Soler and the psychedelic King Gizzard & The Lizard Wizards. After a two year break, Positivus Festival will once again host bittersweet lyricist Tom Odell who’s currently working on his new album. Other festival heartthrobs will include the vivid musical landscape painter Jack Garratt and one of the most promising US American singer-songwriters Max Jury. Many might find bands like the mysterious Swedish electro-pop band Kate Boy or the passionate Irish songstress Soak to be unexpectedly enjoyable festival discoveries. Stay tuned for further line-up announcements with more artist set to rock the stages of Positivus Festival in Salacgrīva. A Positivus Festival 3 day ticket without camping costs EUR 65,00 and a 3 day ticket with camping costs EUR 71,00. Tickets are available at www.positivusfestival.com, in all Biļešu Serviss box offices and Nordea ATM’s (in Latvia only).